The carpet in my house is older but it's still in good condition. However, it was time to get it smelling awesome, so I googled "carpet deodorizer" and found many many recipes that use baking soda and essential oils to get carpets smelling their very best. 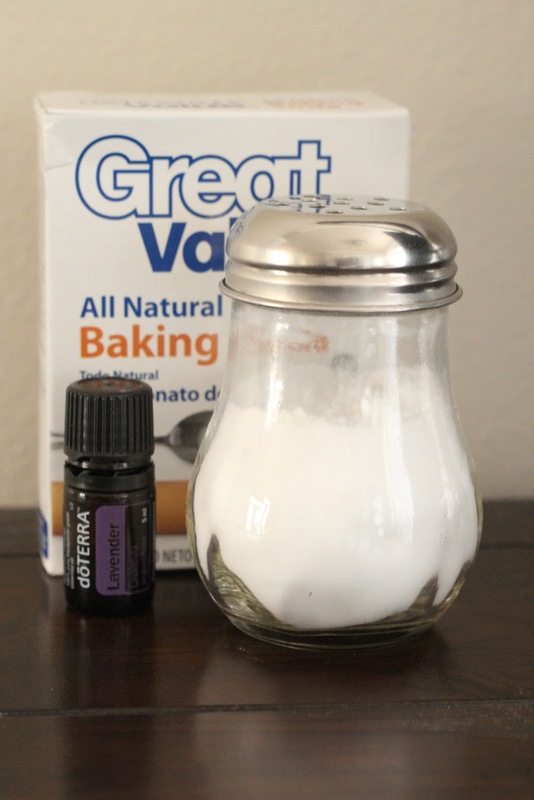 Baking soda neutralizes odors and essential oils not only make you feel good, they smell wonderful. Since carpets hold and trap all the household odors we face everyday, this recipe can make any home smell fabulous. So I gave it a try and I have to say, I'm very pleased with the results. 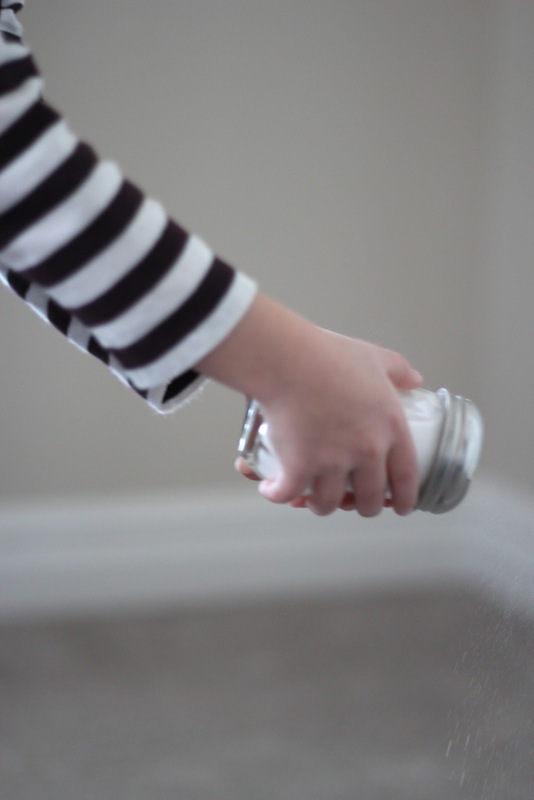 This is an inexpensive and very effective way to deodorize your carpets. *Using a fork and small bowl, mix about 1 cup of baking soda with about 15 drops of essential oils. *Put the mixture in some sort of shaker with bigger holes. *I used lavender in the bedrooms since it helps with sleep, and I used lemon everywhere else since it is so clean smelling. Okay, I know some of you are saying, "Ya, a box of baking soda only costs like .52 at Walmart, but essential oils are expensive." Well, you can just omit the essential oils and use straight baking soda. Oh, and by the way, I sprinkled this mixture over 1,000 square feet of carpet today and I used about 4 boxes of baking soda to do it. Shake the powder onto the carpet. It's so easy and "green" that even your kid can help do this. Allow it to set for 30 minutes to several hours depending on the severity of the odors. Then, vacuum it all up. Your done, and I bet your house smells amazing! Yes, you can use this on small areas if your pet or child has an accident. Just use a smaller amount of mixture. Good luck! Where do you buy the essential oils? I buy mine of e-bay for the best prices.